First, Captain Hoff will share his insights and first-hand experience on what it takes to survive and win in the hyper-competitive world of Silicon Valley. This includes cracking the code on raising venture capital, how to manage your company, avoiding hidden traps that kill startups, and breaking out of a failed plan. Come see cutting-edge tech startups pitch our investors. Everyone is welcome. If you’re a startup and want to pitch, view the requirements below. If you’re an accredited investor, simply contact us and we will add you to our VIP list. • Everyone must buy a ticket, even if you are not pitching. 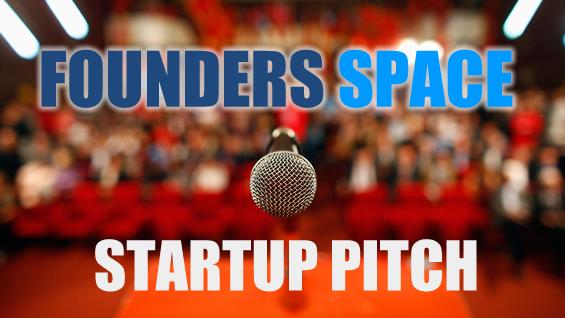 • The top 5 to 10 startups with the most innovative and bold ideas will be selected to pitch. • Come to the event with your laptop and a 3-minute pitch ready to present. • At 5:30 pm at the event, we will announce the startups that have been selected to pitch. You must be present or we we will select another startup. If you’d like to volunteer to help out at the event and get a free pass, contact us and we’ll get right back to you. Steve Hoffman (Captain Hoff) is an angel investor, limited partner at August Capital, serial entrepreneur, and author of the book Make Elephants Fly. Hoffman is also the Captain & CEO of Founders Space, one of the world’s leading incubators and accelerators, with over 50 partners in 22 countries.